Keeping detailed records of employee travel expenses is a hassle. But there’s a way your business can simplify matters without any tax downside: Use the IRS-approved “per diem rates”. This way, employees don’t have to account for every last cup of coffee or cab ride. The reimbursements are tax-free to the employees up to certain prescribed limits. The second method identifies each city as either a “high-cost” or “low-cost” area. The GSA adjusts the per diems for both areas each year. It recently announced the new rates and high-cost areas in effect for the government’s 2010 fiscal year. 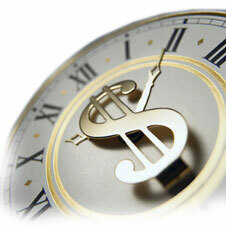 Our expert staff can assist your firm in implementing the new per-diem rates. Keep in mind that the IRS often challenges deductions for business travel expenses, so it’s extremely important to meet all the requirements in this area, If you’re unsure of the obligations or opportunities, don’t hesitate to call our office at 562-868-6333 and we will be sure to streamline your recordkeeping procedures.